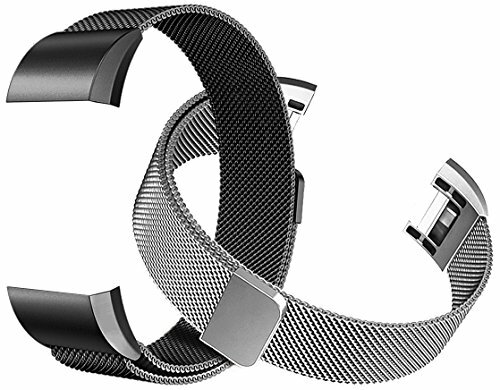 The Fitbit Charge 2 Replacement Band is made by 316L stainless steel in CNC digital finishing. The surface with fine buffing and grinding can give you a smoother sense of touch without worry of allergy. 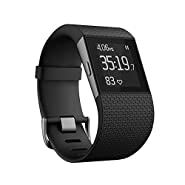 It is always breathable and sweatproof even for long-time wearing. That's exactly your right choice. 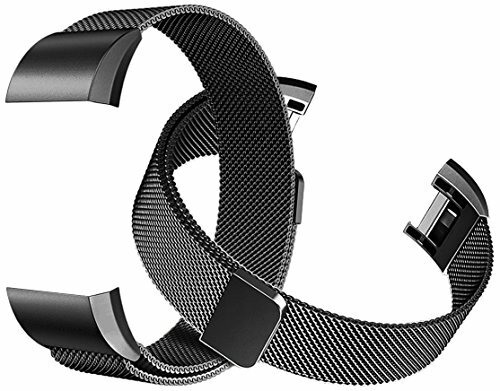 -As the band is magnetic,in order not to damage your clothes,please be careful when using it. 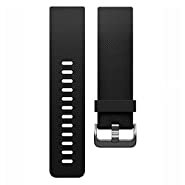 -The surface of this band is colored by spray painting, so it would be easily scratched when it keeps touch with hard things. 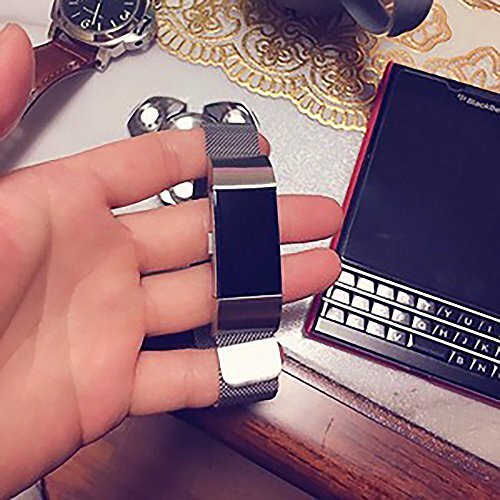 Considerate customer service is always ready for you,if you have any questions with the product, please do not hesitate to ask information with us. Adjustable Designed - This replacement band designed with unique magnet lock which is free to adjust the size, different from the traditional buckled strap.Fits for all wrists sizes 5.5" - 9.8" Metal Connectors - Double stainless steel connectors with a simple latching, is easy to install to better fix your Fitbit device. It reduces the risk of sliding off, making it firm and durable. 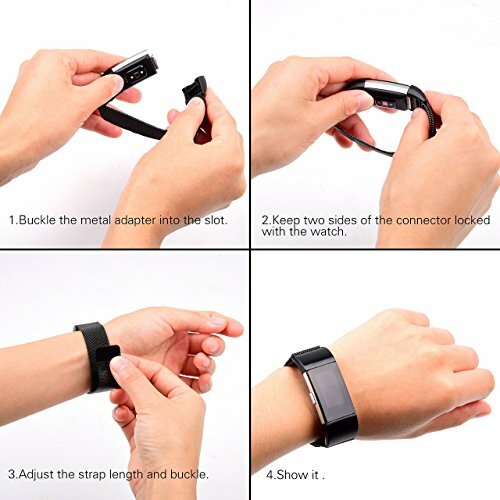 Magnet Lock - Military-grade strong magnet embedded, the buckle has a strong adhesive force,which makes it more safe and stable. 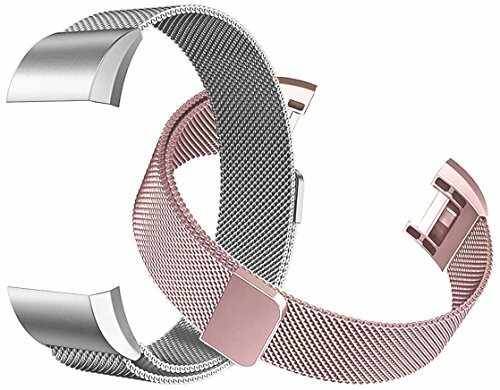 Stylish Style - The Milanese loop mesh band looks light and stylish.The band adopts Grid design to make it breathable and sweatproof. 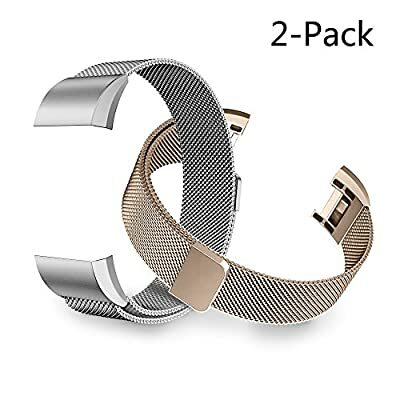 It is light and comfortable to match wrist of any sizes, perfect for both men and women. 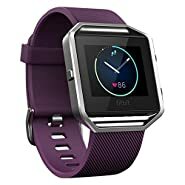 What you get - 2*Band for Fitbit Charge 2 (Tracker is NOT included) and 12-month warranty.If you have any questions with the product, please do not hesitate to ask information with us.